Liz Peterson, a speech pathologist with over 23 years of experience, recently presented at the Collector Live conference. She focused on training collectors and employees who take payments to use their voice as a tool of persuasion. She teaches professionals techniques on how to use their voice to motivate and redirect consumer behavior, both on the phone and in person. Use the information in this How-To with your consumer facing staff so they can practice the techniques Peterson teaches to become more effective at getting payments. 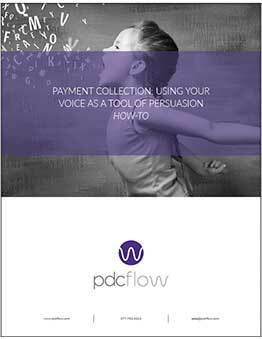 To read the article on our blog, please see Payment Collection: How To Use Your Voice as a Tool of Persuasion.